Dark Regions Press book announcement thread - Page 25 - Horror.com Forums - Talk about horror. Only 28 preorder slots remain for this exclusive special for one of the most anticipated Dark Regions Press titles of 2015: Clive Barker's The Body Book. These editions are signed by Clive Barker himself! Including two of Clive Barker's classic stories from his groundbreaking collections Books of Blood, "The Body Politic" and "In the Flesh", exclusive content from the cinematic adaptation of "The Body Politic" and detailed information on the "In the Flesh" film that never came to be, The Body Book will have award-winning filmmaker Mick Garris (Quicksilver Highway, Masters of Horror, The Stand) joining forces with Clive Barker in an effort to bring fans never-before-seen photos, writings, interviews and much more. Your support goes towards the production of four new DRP titles, covers seen below. 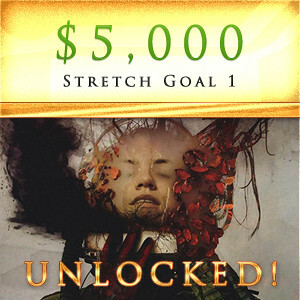 Thanks to all who join us for the final hours on Indiegogo! Including two of Clive Barker’s classic stories from his groundbreaking collections Books of Blood, “The Body Politic” and “In the Flesh”, exclusive content from the cinematic adaptation of “The Body Politic” and detailed information on the “In the Flesh” film that never came to be, The Body Book will have award-winning filmmaker Mick Garris (Quicksilver Highway, Masters of Horror, The Stand) joining forces with Clive Barker in an effort to bring fans never-before-seen photos, writings, interviews and much more. The signed limited editions of Clive Barker’s The Body Book are a one-time printing only and are expected to sell out in preorder fast. Wise Clive Barker fans would preorder their copy of the book as close as possible to launch day, November 10th 2015. Visit Dark Regions Press online at DarkRegions.com to reserve your copy of Clive Barker’s The Body Book expected in stock in Q2 of 2016. Dark Regions Press is offering a leather-bound deluxe hardcover edition of Simon Strantzas’s critically acclaimed horror and weird fiction collection: Burnt Black Suns. Simon Strantzas has continued his rise as one of the top short story writers in horror and weird fiction today with his excellent collection Burnt Black Suns. Previously only offered in ebook and paperback formats, Dark Regions Press is bringing the first signed limited edition of the book to Strantzas fans with a new afterword/story notes from the author, five new interior illustrations by artist Jethro Lentle based on the stories, the original cover painting by Santiago Caruso and more. 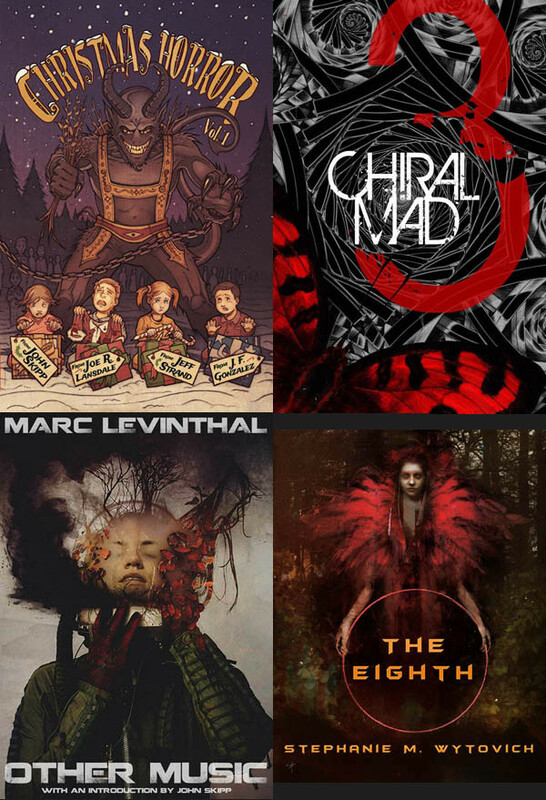 Discoveries: Best of Horror & Dark Fantasy represents a culmination of a small press journey. Former Dark Discoveries Publisher and Editor-in-Chief James R. Beach and Managing Editor & Designer Jason V Brock collect ten years of award nominees, best of stories, fan favorites and honorable mention tales from the life of DDP (including the magazine, newsletter and the anthologies NW Horrors and Darker Discoveries). Featuring stories by: Paul Bens Jr., Ray Bradbury, Jason V Brock, Kealan Patrick Burke, Elizabeth Engstrom, Paul Finch, Bill Gauthier, Cody Goodfellow, Gerard Houarner, Richard Laymon, Tim Lebbon, John R. Little, Nick Mamatas, Brett McBean, Michael McBride, James Newman, William F. Nolan, Gene O’Neill, Weston Ochse, Wilum H. Pugmire, Stephen Mark Rainey, David A. Riley, Michelle Scalise, John Shirley, Steve Rasnic Tem, Jeffrey Thomas, Tim Waggoner, Matthew Warner. Yall should just go ahead and publish my short story down there in my signature. Maybe my book (I could email it to you), although I have no idea if its any good. It seemed like my fellow forum members enjoyed it, but that might not mean anything. They may have just been sparing my feelings.